I am planning to allow more Guests Posts in our blog. We already published many guest posts. Guests post is a win-win approach. i-e I will get a benefit as our blog will gather more good content. And, our blog readers will get a chance to read fresh content with different perspectives. And the Guest post author will get significant traffic and Good backlink. Already our blog is getting moderate traffic and we are working on to bring more traffic by doing search engine optimization (SEO) and social marketing. And, our drive to increase email subscribers is also helping to get more readers for our blog. So, writing guest posts in our blog will help the author to get significant traffic to their site or blog. And, many people are searching for good article writers. And, many people with good writing skills are searching for a freelance writing job. Most of them are using freelance sites. But they will take a significant part of your earnings as commission. So, you can use this Guest Post opportunity to show your writing talents and provide your profile link at the bottom of the post so that people can contact you if they have any article writing requirements. And, one more way of using this Guest post opportunity is introducing your products and services to our blog readers. Say, for example, if you are selling an eBook about Search engine Optimization (SEO), you can write an excellent article about search engines and at the end of the article, you can provide the link to your eBook sales page. The readers impressed with your article will be visiting your sales page to know more about your eBook, and it may increase your eBook sales also. Anyway, I won't allow any product/service promotion within the article itself to keep our readers away from any self-promotion articles. Find below the Guidelines for writing Guest posts on our blog. Your post should be original and unique. It should not be available on the Internet. Your article should be in English with more than 2000 words. 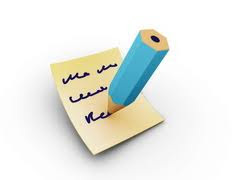 We reserve the rights to make any corrections and do any format changes in your post before publishing it. You should agree to not publish the same post somewhere else once your guest post is approved and published in our blog. You can include one or two links to your blog/site at bottom of the post. Your post should be suitable for publishing on our blog. Mostly our blog is focusing on Software development, Software testing, Test automation, web development, Technology news, Social media, internet marketing, Entrepreneurship, SEO, Affiliate Marketing, Job, Article writing, Computers, Internet, Gadgets, freelance sites review and about our products. You can send it as word document attachment or you can put it in the email message itself. Mostly I will let you know within 1 or 2 days if your post is not suitable for showing in our blog so that you can use your post somewhere else. And, if we accept your post you should not post it in some other sites/blogs. Note that I will accept the Guest post only if it is useful for our blog readers. You can read already published Guest posts here. These guidelines are applicable to our other sites also. Find below some of them. While sending the Guest Posts remember to specify the site name also. RtoZ.Org - Latest News Site. I am exploring the option of allowing Sponsored Post also. So, if your article is not meeting all of our guest post guidelines, I will consider it for Sponsored Post. In this case, send me your Offer Price also. Please note that most of the Guest Post Guidelines are applicable for Sponsored posts also. Only exceptions are Article Length, link inside the article, and your ability to reuse it again in other places. In this case, I will mention as "sponsored or paid post" in the article and make the links as "nofollow". And, I am looking for Brand Deals or Sponsored Videos for my YouTube Channel with 49K Subscribers. If you are a small business owner you can make use of this opportunity.